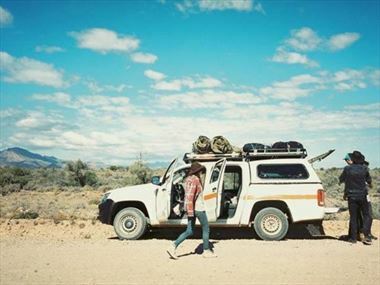 For some, the lure of the open road, the absolute freedom of where to go and when, and the chance to stop over for as long as you want is just too tempting. Welcome to the world of the Motorhome holiday. A truly liberating way to travel, these plush apartments-on-wheels are becoming an increasingly popular way to see the many wonders of New Zealand. Spacious, inviting and fully equipped with all that you’ll need for a relaxed stay; we offer a great selection of RVs to suit the type of holiday you want from reliable and experienced suppliers. Motorhome holidays are fun and memorable, offering you the chance to see this amazing part of the world your way. With a range of innovative vehicles to choose from, this style of travelling is perfect for those who want to see the sights and stunning landscapes without having to miss out on home comforts along the way. Checkout our selection of motorhome holidays and call us to plan your perfect self-drive holiday in New Zealand. 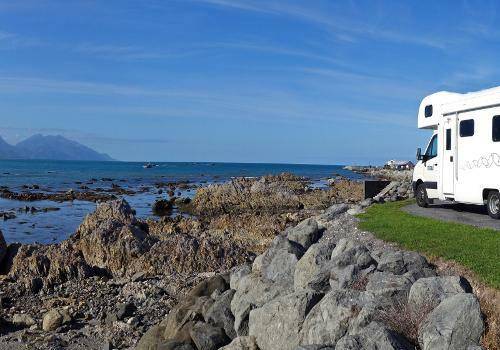 If you want to see New Zealand at leisure, a motorhome could be the perfect solution. Ideal for family holidays, these RVs ensure the best quality and a truly unique experience. Your journey is whatever you want it to be – motorhome holidays allow you the freedom to travel whenever and wherever you want to for the ultimate New Zealand self-drive experience. 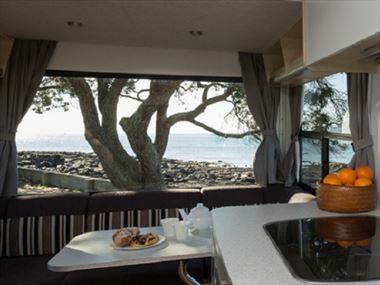 New Zealand Sky provide a fantastic range of motorhomes to choose from, from the compact yet comfortable vehicles sleeping up to three people to the six-berth homes with plenty of space for larger families or groups, so you can tailor your accommodation to suit your needs. And the home comforts, from a kitchen and entertainment system to comfortable bedding, are all included for a relaxed and stress-free stay. While you’re here, be sure to enhance your motorhome experience with some added extras such as hiring mountain bikes to admire the scenery from a new perspective or downloading the travel app to ensure you don’t miss any fascinating points of interest. 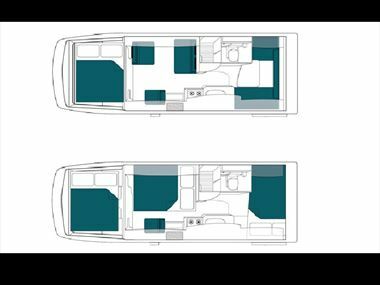 Perfect for small families or a group of friends, this campervan has everything you need to ensure a comfortable journey – including small luxuries like a coffee plunger and wine glasses, as well as a built in BBQ, DVD Player, and a personal safe. 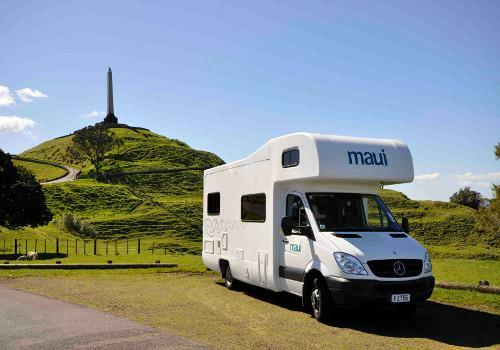 New Zealand Sky offers a great selection of high quality motorhomes which provide a freeing form of travel with a sophisticated take on camping in New Zealand. Each of these homes is spacious, fully-equipped and has an innovative design to provide the utmost in comfort. From wooden floors to large living areas and BBQ facilities, everything has been considered to provide you with a home-from-home feel while you’re on the road. And if you want to make full use of your time here, there’s the option to include experiences such as visiting wineries, pre-ordering grocery boxes to take the stress out of your stay, and choosing from a range of indigenous tourism experiences. 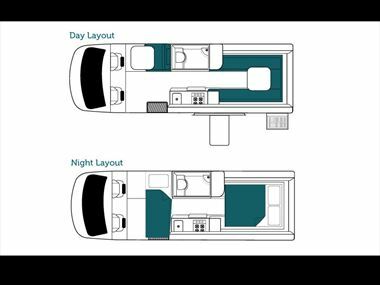 From the Ultima RV which sleeps up to two people, to the Platinum Beach (sleeping up to four) and the luxurious Platinum River which sleeps up to six people, each of these homes has been expertly designed to provide complete comfort and quality. All of these homes provide plush sleeping facilities, spacious living areas, and kitchens with plenty of storage. 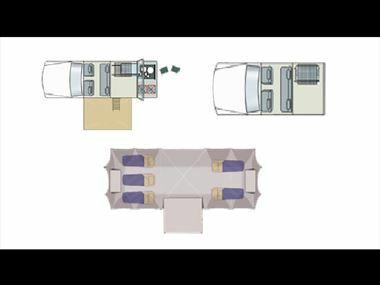 This campervan features a king-size or twin beds,roomy living area, kitchen facilities, solar panel, storage and an exterior slide-out BBQ. 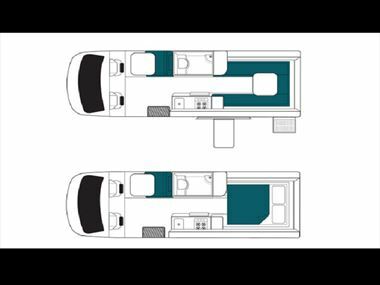 Perfect for smaller families or groups, this campervan sleeps up to three people - the third passenger is seated directly behind the driver, so children can be kept close by on long journeys. These homes feature an exterior BBQ, DVD facilities, and multiple bed and living area set-ups. 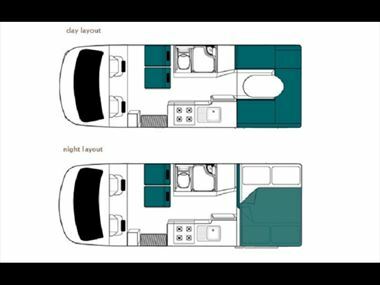 A four-berth motohome, the Platinum Beach features an apartment-style kitchen, exterior awning, king-size rear bed, solar panel and DVD player with LCD screen. 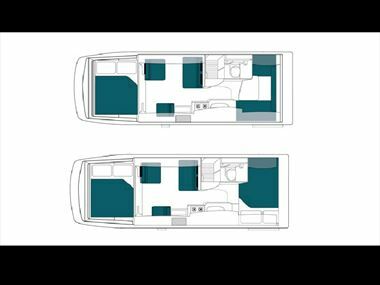 Designed with luxury in mind, this six-berth campervan provides you with china crockery and a large fridge in the kitchen, spacious living area, leather upholstery and an exterior awning. Rental days are calculated on a calendar day basis – with the first day starting from as soon as you pick up your vehicle. The day of the vehicle’s return is counted as the final day of the rental, no matter when you drop off your vehicle. The minimum rental period is five days if the pick-up and return locations are the same, or there is a minimum rental period of 10 days if the vehicle is collected from North Island and returned to South Island when renting your vehicle between October and March. Your vehicle will need to be returned with a full tank of petrol, and in clean condition. Britz and Maui offer a complimentary travel wallet when picking up your vehicle, which includes a free road map featuring New Zealand’s leading attractions, a guide for what to see and do, plus a hotel/campground guide. 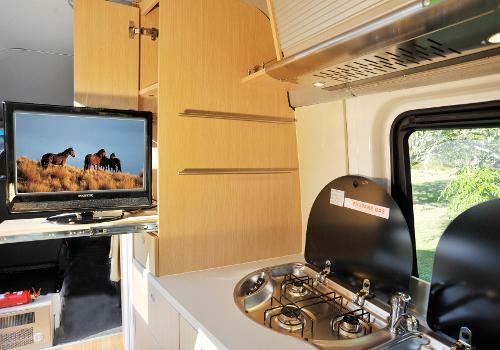 Each vehicle with Britz and Maui include apartment-styled kitchen equipment, including crockery and saucepans, as well as linen, bedding, and cleaning utensils. The opportunity to collect your vehicle in one destination and return it to another other is available. There are three branch locations to choose from – Christchurch, Auckland and Queenstown. Our motorhomes have a variety of insurance options to help make your adventure stress-free and enjoyable. You’ll need to bring a copy of your travel insurance with you, as well as an international driver’s licence which should be produced upon vehicle collection. You will be required to pay a deposit when picking up your vehicle. The price of this deposit depends on the Liability Reduction Option selected. The deposit is fully refundable provided the vehicle is undamaged and in a clean condition. Campgrounds are a fantastic way to enjoy your motorhome experience and the incredible landscapes New Zealand has to offer. We can advise the best places to find and book campgrounds suited to you, or if you fancy a hotel stay we’ll be happy to book this for you, too. Your motorhome holiday is tailored to you, so give us a call and we can help start your adventure. Be sure to book any big attractions or destinations that you’re hoping to visit during your motorhome holiday, to avoid disappointment. It’s especially recommended to book ahead for annual holidays, including Christmas and Easter. A $50 surcharge will apply should you return or pick up your vehicle on any bank holidays.